The swelling ranks of aboriginal women in the federal prison system amount to "nothing short of a crisis," says a report commissioned by the Public Safety Department. The Conservative government's "tough on crime agenda" will only send the numbers spiralling higher, adds the report, which paints a bleak picture of native, Inuit and Métis women's experience with the federal correctional system. It declares that "aggressive action must be taken now" to deal with the problem. "However, it is highly unlikely that the issues of such a marginalized population will receive the attention and resources necessary to even begin to address the multitude of issues." The federal correctional service — part of Public Safety Minister Vic Toews's portfolio — said Wednesday it is actively pursuing strategies to help aboriginal women. The 62-page report, Marginalized, was prepared by The Wesley Group and recently released by Public Safety. It notes that while aboriginal people account for just four per cent of the Canadian population, one in three females in the federal correctional system is aboriginal. Over the last 10 years, the representation of aboriginal women in the prison system has increased by nearly 90 per cent, says the report, making them the fastest-growing offender group. "The current state of over-representation of aboriginal women in federal corrections is nothing short of a crisis." The report tries to pinpoint the root causes, tracing the history of colonization and the often-damaging effects of the residential school system to the present-day challenges that native women face as a result of "oppressive government policies and laws," exploitation, violence and racism. Winding up in prison does nothing to break the cycle, despite the opportunity to help women build better lives through correctional programming, the report found. Aboriginal women tend to have lower levels of education and employment, as well as a more extensive criminal history and a higher need for programming to deal with issues such as drug abuse, anger management and finding employment, the author notes. 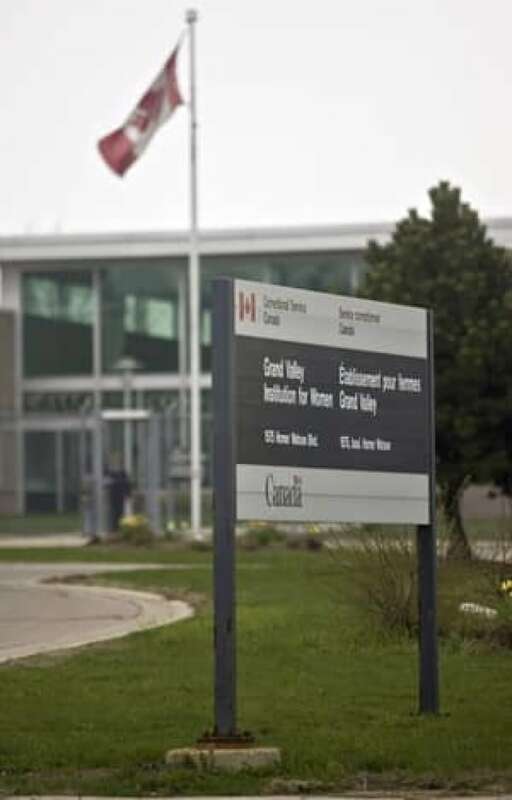 Upon entering prison, offenders are assessed with the aim of determining whether they should be given a security designation of minimum, medium or maximum. Aboriginal women are generally over-classified, leading to long-term negative consequences, says the report. "A higher classification level means limited or no access to core programs which impacts parole eligibility and success for re-entry into the community." The report recommends "an alternative means of assessment" for aboriginal women. The correctional service has made some progress in providing appropriate help for aboriginal women behind bars, says the report, pointing to specially tailored programming introduced in 2009 that is delivered with assistance of a native elder. However, "much work" needs to be done. For instance, healing lodges for women — one in Alberta, the other in Quebec — were still at the planning stages despite the fact legislation had allowed for their creation for many years, says the report. The department referred questions about the report to the correctional service. The prison service cited numerous initiatives, including a review of its mental health strategy from an aboriginal perspective, release of a revised policy on the needs of suicidal and self-harming offenders, improved staff training, universal access to elders, and a new generation of correctional programs for women offenders. The report says the federal government's agenda of stiffer sentences and harsher measures for prisoners "will only serve to further increase the numbers [of imprisoned aboriginal women] and worsen the already staggering injustice experienced by aboriginal peoples as a whole." The report concludes it is up to federal leaders to spur improvements. "Absent political will, fundamental change will not occur within the system," it says. "Furthermore, given the political climate of late, there is no indication that effective change for aboriginal women in corrections will occur any time soon."